A Fact finding team on behalf of People’s Union for Civil Liberties headed by Swami Gyan Swarup Sanand, formerly known as Professor G.D. Agrawal, Head of Civil Engineering Department at IIT Kanpur and Member-Secretary of Central Pollution Control Board, visited the Kanhar dam site in Sonebhadra district of U.P. on 19 August, 2015 to find out the state of construction and damage caused to it due to recent heavy rains. The cofferdam constructed to allow the construction of 311.75 m spillway has been breached by the heavy rains in the rainy season of 2015. A large portion of the cofferdam has been washed away. So far only 1 m foundation of the spillway, the central concrete portion of the dam, had been laid. It has been filled by silt and stones brought by the fury of the flood due to the giving in of cofferdam and will have to be cleaned before construction can be started again. Considering that the final dam height is going to be 39.9 m or 52.9 m depending on what use the dam is put to, the project is in preliminary stages. In terms of money, according to Executive Engineer Vijay K. Srivastava of the Irrigation Department of U.P. government, Rs. 300-400 crores might have been spent on the project so far. The estimate of cost of construction of the project updated in 2010 is Rs. 2252.29 crores. Hence only about 15% of the total estimated cost has been spent so far. It is unclear why the NGT judgement dated 7 May, 2015, giving a go ahead to the construction of this much delayed dam, says ‘Huge amounts have been spent on this project.’ While this statement may be true in absolute terms it is certainly not true in relative terms. The project is proceeding on an environmental clearance dated 14 April, 1980. There is no document showing forest clearance except for a 27 February, 1982 letter in which permission has been granted by Governor of U.P. for transfer of 2422.593 acres or 980.4 ha of forest land to the irrigation department. The authorities think that since environmental clearance was obtained before the Environment (Protection) Act 1986 came into being, the project doesn’t require any Environmental Clearance under the notifications of 1994 and/or 2006 issued under the Act and since the forest clearance was obtained before the Forest (Conservation) Act 1980 came into being the project doesn’t require prior concurrence of the central government for diverting forest land for some other purpose. 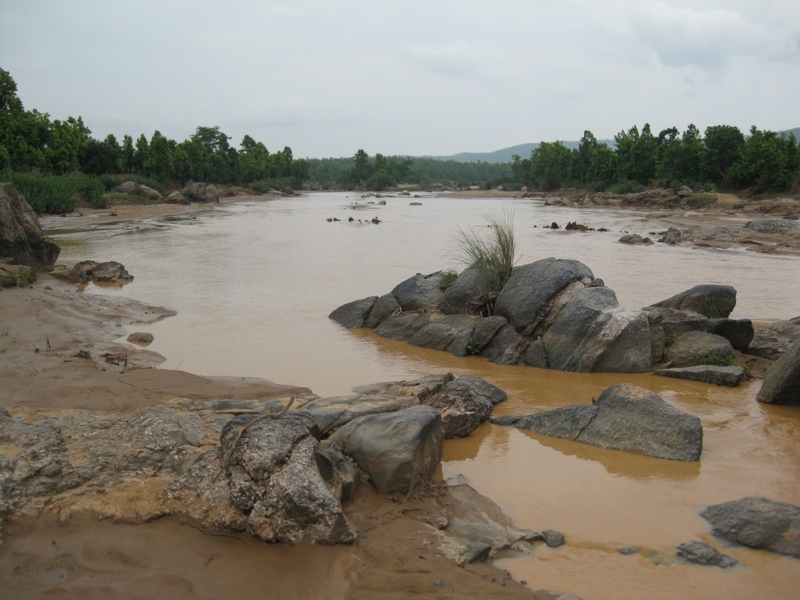 However, when the modified project with increased spillway was approved on 16 September, 2010 by Central Water Commission it has been considered under the category ‘NEW MAJOR’ project. Since the project is in preliminary stage it should require fresh Environmental and Forest Clearances. Out of 980.4 ha of forest land acquired compensatory afforestation has claimed to have been done on 666 ha by DFO, Renukoot but there is no report on survival rate. Moreover, the DFO has not presented any plans for compensatory afforestation on the remaining land, 314 ha. This shows the lackadaisical nature of commitment of forest department. With this example alone one can imagine how much environmental concerns will be honoured when the project is being pushed ahead without proper environmental and forest clearances. Moreover, the rehabilitation of displaced people must be carried out under ‘The Right to Fair Compensation and Transparency in Land Acquisition, Rehabilitation and Resettlement Act, 2013.’ People are not happy with the rehabilitation. The list prepared by administration for consideration for compensation is faulty. 11 villages in UP, 4 in Chhattisgarh and 4 in Jharkhand have been identified which would be submerged by the construction of dam. A rehabilitation package of Rs. 7,11,000 is being offered in UP. A 150 sq. m. residential plot is also being given to original families in the villages. However, if 1980 lists are going to be used for getting rehabilitation done then one can imagine that many people will be left out. The administration in Sonebhadra is reportedly getting a survey performed after an agitation which turned violent to identify actual families presently living in villages which will be displaced. But is shows that the rehabilitation and resettlement is being done in a hurried manner with the objective of getting people out of the way somehow. One must also remember that the submergence area is a tribal dominant area. Under ‘The Provisions of Panchayats (Extension to Scheduled Areas) Act, 1996’ the Panchayats in Scheduled Areas have the power and authority to function as institutions of self-government and can prevent alienation of land in Scheduled Areas and can take appropriate action to restore any unlawfully alienated land of a Scheduled Tribe. The UP government and Sonebhadra administration has chosen to be ignorant about the provisions of this Act. Hence proceeding with this ill-fated project will be unwise. The above mentioned laws of the land must be applied otherwise it may be best to abandon the project which will save substantial amount of public funds from being wasted on this ill-conceived project which is being pushed through only for apparently political reasons. No doubt, vested interests are also involved as happens in any big and small project in our country. Big profits are to be made and commissions are to be collected in the name of development for the sake of people.